At the end of Far Cry 5, when the bombs dropped on Hope County, I’d had one hell of a time. The ending was a bit of a cop out, but the adventures I’d had and the chaos that followed me throughout was top notch. I never thought I’d see that world again; I never thought I’d stand at the foot of the decrepit Joseph Seed statue, or revisit the church where it all went terribly wrong, but here we are. Unlike my original escapades traipsing through rural Montana, I was left without any particular memories, and it all felt like a bit of a blur. Some of the side missions were quite good, and some of the outposts gave me a good thrashing, but overall I walked away slightly disappointed by the whole affair. 17 years after the devastating events at Joseph Seed’s church, otherwise known as “The Collapse”, you play as a survivor trying to rebuild and protect your settlement from the twisted sisters, Mickey and Lou. They’re twins who have seemingly taken over Hope County in Joseph’s absence, and they’re a couple of really evil sods. There’s no real reason for them to be the way they are, and it’s never really explained how they came to be, or who their parents are. There’s a flashback to them when they were kids, but it’s ambiguous as to what their motives are. Still, they’re dangerous nonetheless, and you must rebuild Prosperity and fight off their goons all over Hope County, known as The Highwaymen. As you may have seen in the trailer, Joseph Seed is still about, as are many other characters from the original, but I’ll let you find them on your own. There are some nice surprises, but also some unexplained ideas that don’t really make any sense as to why they’re happening, and Joseph is criminally underused. The story is what made Far Cry 5 so captivating, especially Joseph Seed, but New Dawn doesn’t seem to want to give you much in the way of coherence or drama. There are some sweet reunions, and some nice revelations, but I never felt as passionate as when I was when playing as the Deputy. It’s not that it’s a bad story, it’s just very empty and free from the kind of writing and crafting that made Far Cry 5 so gripping and purposeful. Your character can be customised throughout, allowing you to pick either a male or female at the start. 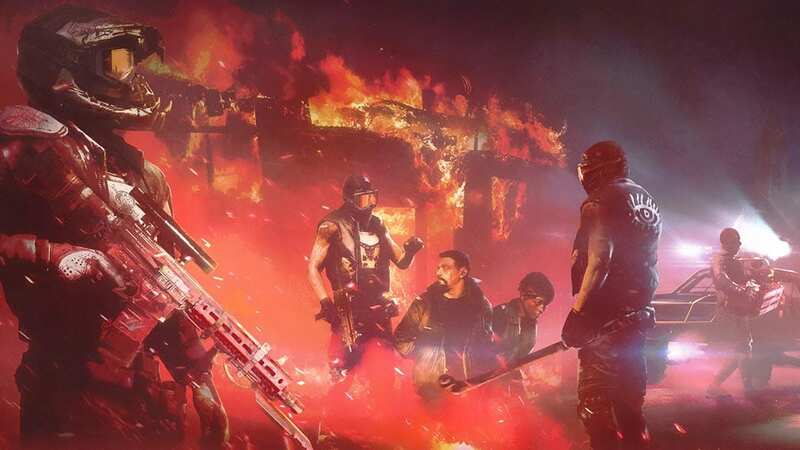 You can unlock new clothes and weapons throughout the game, including the Saw Launcher which fires circular blades straight through your enemies. New Dawn features a type of base-building mechanic that lets you level up certain aspects of your base, such as your garage, weapons bench, explosive lab, and medicine patch. Each area can be levelled up to three ranks, and the higher the rank, the better the equipment. By finding ethanol, these sections of your base can be levelled up, and finding it can be a challenge. You can liberate outposts, and find supply drops to do so, but you’ll need a lot to get the most out of Prosperity. Throughout Hope County you’ll find components such as copper wire, duct tape, and gears, and the more you find the more you can unlock. 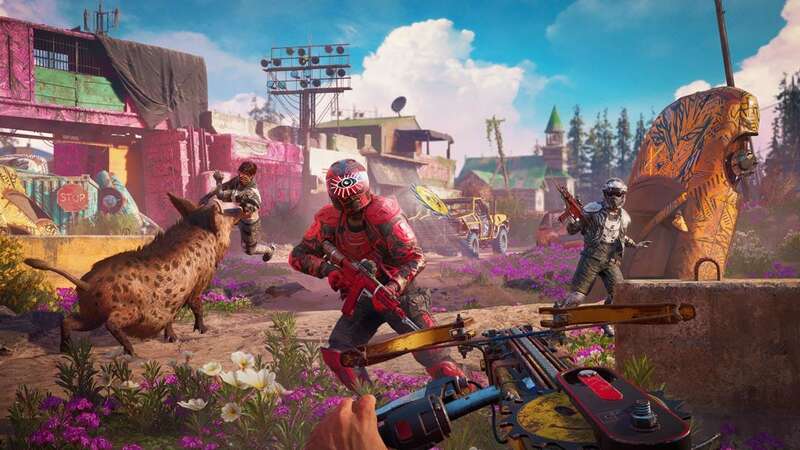 If you’re up for the grind, you’ll get much more out of Far Cry New Dawn. Guns for Hire and Fangs for Hire are back, and the folks that’ll aid you provide some nice surprises, as well as an interesting theory as to who one of them is. A new mission type featured in Far Cry New Dawn is Expeditions. You get taken to certain places and must recover a specific package, then get out alive. Once recovered, you receive a wealth of components, and this helps to upgrade your base and unlock new weapons much faster than finding them out in Hope County. As you upgrade the Expeditions at your base, they become harder, but you receive more components for finishing. Treasure Hunts return, as do Side Missions, and the way Outposts feature brings something new which makes them better than before. Once you liberate an outpost, you can scavenge them and take Ethanol from them, but the Highwaymen will take them back, and the rank of the Outpost increases. However, if you liberate it again, you’ll gain double the ethanol. Once you own the outpost, it can be used as a fast travel location, and it’ll feature work benches and vehicle drops for you to spawn them at. By completing challenges throughout the game, you’ll unlock perk points that allow you to gain new abilities, such as acquiring binoculars, taking out enemies from behind, and hot wiring cars and trucks to stop booby traps. Once you get to a certain point in the game, a new line of perks open up, as does a special ability called Wrath, and by pressing the right analogue stick, you’ll turn incredibly powerful for a minute or two. This really helps when you’re taking on some of the tougher bosses towards the end, and becomes a powerful asset as the Twins become more of a threat to you. Gameplay is practically the same as Far Cry 5. You have a weapon wheel on which you can select up to four ranged and one melee weapon (providing you own the perks), as well as explosives and a fishing rod. You can grapple up to higher points, and parachute off mountains and buildings, or use a wingsuit if you’d prefer. Hunting is back, and after taking down some of the animals in Hope County (including the mutated creatures that provide more of a challenge), you can trade them for components. It feels like old ground, and it never really feels like a new Far Cry. New Dawn is more of a glorified expansion, but if you enjoyed Far Cry 5, don’t let that put you off. I faced a couple of bugs that halted the game, including getting stuck in a rock face which meant I had to kill myself to get out, and a mission not trigger the next stage when I reached an objective, forcing me to reload in and start again. 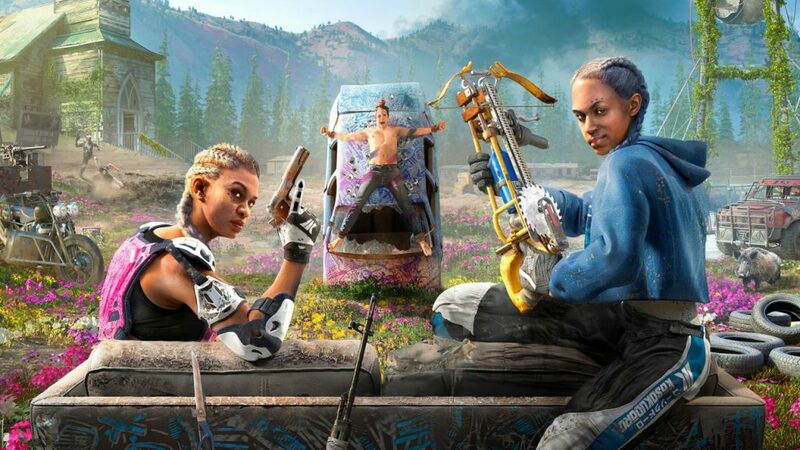 Far Cry New Dawn isn’t as robust as its predecessor, and the story is nowhere near as decent, but I still had fun retreading old ground. 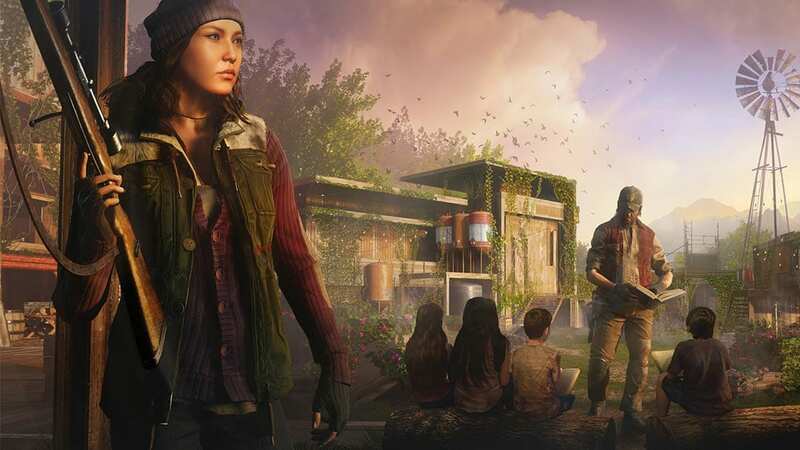 It’s obvious something is missing as it never really feels like a sequel – more of a hefty expansion – and after encountering a couple of bugs that had me more than frustrated, I was left wishing Ubisoft Montreal had focused on something new, and on somewhere different to provide an entirely new adventure. Whilst Far Cry New Dawn isn't a completely new experience, it does have a few features that give it new life, and despite the bugs and weak story, it was nice revisiting Hope County.